UPDATE: I have fulfilled my club obligations and became VIP! Read about it in my Disney Movie Club VIP review. 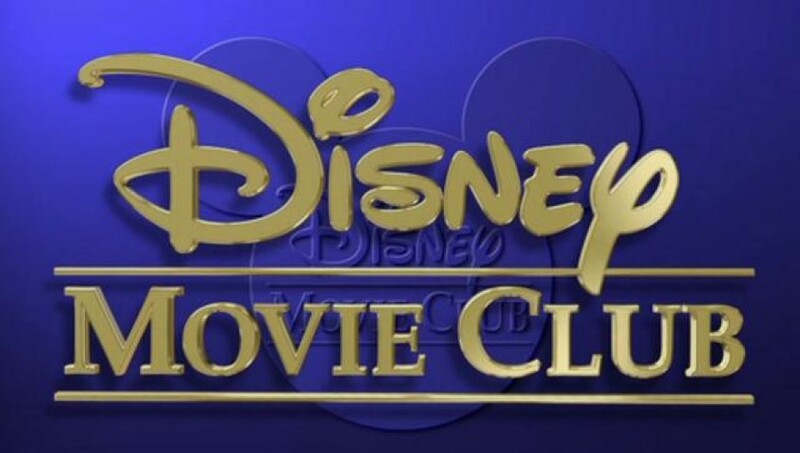 If you’ve spent any amount of time around the Disney websites, you have most likely seen an advertisement for the Disney Movie Club telling you how to get 4 Disney movies for $1 (or a similar sweet deal). Naturally, your first reaction was, “Yeah right…how much will this cost me later? !” Well, over the years I’ve been in a number of these different “clubs” that allow you to purchase music, movies and even wine at discount rates. I’m well aware of the business strategy involved in the development of these programs, but what always gets me hooked in is the fact that in the long run, you do save a lot of money. BUT…this only works if you assume you would have made these purchases anyway. For example, you wouldn’t join a wine club to save hundreds of dollars if you’re not a wine drinker. Save more money by not buying wine in the first place! In order to get the heavy discounts, you must buy 5 more movies at the regular price ($29.95 for Blu-ray) within 2 years. When you process your first order after signing up, you have the option of ordering the first of those five for only $14.95. Each month, the club sends you a selected movie (or combo pack) that you can choose to take at the full regular price or you can decline it and order something else. Or you can choose not to order anything. The only hassle with this system is that you have to remember to respond to the mailer otherwise they will automatically send you the selected title. In order to figure out the cost benefits to this, I’ve applied some basic math. Also, I should note that I’m assuming you’re opting for the Blu-ray editions of the movies for your membership. More on the different membership options and VIP status below. To start, you get to pick any 4 Blu-rays. Not all titles the club offers are available for the initial order so if you don’t see your favorite movie during the signup process, that doesn’t mean it won’t be available to you as a member! I can tell you firsthand that I have yet to find a currently available movie that’s not in the club’s catalog. If you choose to pick a 5th movie, do so now and you can wipe out one of the 5 you have to buy in 2 years. This will add $14.95 to your bill, but considering the normal minimum price for the commitment movies is $29.95, you’re already saving money! At this point, you have the option of purchasing a 6th movie for only $9.95. Although this one will NOT count toward your commitment purchases, it’s a nice way to get yet another $30 Blu-ray for only $10. For this example, I’ll add it in. So for less than $30, you have gotten what would have cost you about $120. All you have to do now is purchase 4 more movies at full price totaling $119.80 and you will have boosted your Disney Blu-ray collection to 10 movies with each title only costing you $14.57. Not even on Amazon can you get prices that low for Disney Blu-rays!! The numbers above reflect the perfect “get in, get out” scenario and as you can see, you really can’t go wrong. Each title is less than $15 and if you’re a Disney Movie Rewards member, you get to collect at least 150 rewards points for each one for a total of 1,500 points. But as you would imagine, Disney doesn’t stop there. Each month, the club will offer you new discounts and special offers. For example, this month there were three different ways to save money. I could either buy 3 or more titles for $15 each, get DVDs for $8 when 3 are purchased and/or getting a free soundtrack cd with certain titles. On top of those offers, I also have the option of getting all movies at 40% off with free shipping OR 25% off my entire order! All of these offers require that at least one movie is purchased at regular price. This gives you idea of how much you can save and how fast you can grow your Disney Blu-ray collection just by purchasing another one of your commitment movies. It’s impossible to factor in all these numbers because the offers change month to month, but clearly you can see the savings potential. Once you’re a member, you can also start referring your friends to the club and for each successful member you get, you’ll get another 2 movies for free. After you have completed your membership requirements, you become a VIP member. I have yet to reach this level, but from what I understand, staying in the club after your requirement is over means you get to continue receiving amazing deals and offers just as you would today. Also, if you’re interested in wiping out your commitment requirements up front, you have the option of selecting no site-wide discounts to purchase everything at full price! When you sign up, you get to choose whether you want to be a DVD member (regular movies are just $19.95) or a Blu-ray member (regular movies are $29.95). Choose wisely because the moment you order a Blu-ray movie, you’re instantly upgraded to this membership. This also changes your DVD pricing to $29.95 if you buy a DVD later. 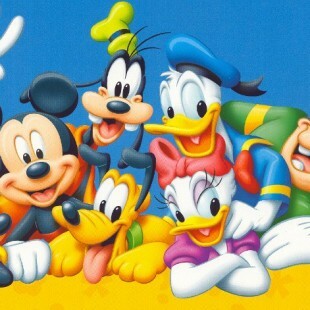 Keep in mind that this club covers all Disney movies and Disney-owned properties, so the movies available for purchase are not just kid-friendly animated films! You have access to other films as well such as Tombstone, Pearl Harbor, The Avengers and plenty more! I have just joined the club and I am happy with the decision so far! Joining through Disney Movie Rewards is an even better offer! They offer 5 movies for $5 plus 2 more movies as a bonus costing $14.95 and $9.95. So in total you can get 7 Blu-ray titles for the price of 1. Also, 500 Bonus Points to your Disney Movie Rewards account! It is worth it, and all you have to do is to respond to the Features Titles every month and you will have no problems! Thank you for the detailed information on the club. It definitely helps for new members! No problem. I just wrote this because I had a lot of questions about it before I joined and there weren’t many people talking about it. I just wish they would create a better referral system. Right now people must be invited to join by email in order to claim the free movie bonus. I’m wondering if I buy the required 5 additional movies in the next, say three months, can I cancel right away instead of in two years? Of course you can, but there’s really no reason to cancel…it doesn’t cost anything to stay a member. Plus, you can keep getting movies at the discount rates, so it’s a win-win situation. If you don’t cancel and have purchased your required amount of movies, will they still send you movies and then charge you for them? Only because after I have purchased the required amount I won’t want to be bothered every month or two months or even randomly with having to go in and decline things all the time. Unfortunately you will be sent those movies UNLESS you deny them on the website. It’s actually really simple. They send you an email with some offers and your “chosen” selection, you click the link to login and right there on the front page, you can accept or decline the special. Also, you’ll get a packet in the regular mail that you can simply ignore at that point. It actually doesn’t happen monthly…it seems like it’s almost every two months. It sounds strange, but there isn’t an exact timeframe for these offers! One day you’ll get an email saying your featured offer is whatever movie and you have the option to log in and decline it right from the website. Plus you’ll also get a snail mail envelope filled with the offer card and some marketing materials. You can decline the offer by sending back the card, but there’s no need to once you log into the website. I think since I joined, I’ve only had to decline about 4 movies. That is my issue with this deal. I don’t always get the email! and they are not in my spam (so where do they go?) and I end up receiving unwanted DVD’s and being charged for them. You have to be careful! I’ve missed it a few times myself, but I’ve seen them arrive in my spam folder and I’ve even caught myself throwing them away by mistake. This may not be ideal for your situation, but I find myself just logging into the website periodically just to make sure there’s nothing there. I’m already a Disney Movie Club member, and I’ve been hesitant about making additional purchases towards my commitment because I have been unable to find a clear answer to this question: If, for example, the website is offering a buy 1 at regular price, get additional movies at a discount option, does the regularly priced movie count towards my commitment status? I’m not sure if I need to decline all offers until I’ve completed my commitment, or just take advantage of them over time. It sure does! In fact…sometimes they offer the regularly priced movie at a discount as well, but it still counts. I’ve gotten at least two of my commitment movies under the $29 Blu-ray price. But you have go take the deal that they define otherwise it won’t process right. Lastly, it’s better to buy more movies than the one at regular price because that’s how you save money in the long run. I have been a member for at least ten years now and I love it. I became a V.I.P. Member in months and I’m still buying not just for my nieces and nephews but my self. The movies I grew up up on I now have so when I have children of my own I can share them with them. I now have a total of 160 Disney movies. My nieces & nephews like them and I love them!!! 1) Does it cost S&H each time you order one of the movies to fill out your obligation? 2) Are the Blu-rays just single bluray discs, or are they the combo packs with DVD as well?? 1. Yes it does. However, the club usually offers free shipping when you spend a certain amount. I’m not sure if it changes, but I logged in today to process a test order and there was no standard shipping charges even with one $29.95 item in the cart. Since the club works best when you order multiple items anyway, your best bet is to at least order 1 or 2 more movies each time so you can see the cost savings on every order. Just remember that those extra (discounted) titles will not count toward your obligation. 2. The Blu-rays are the same set you would find at any retailer. Sometimes, you can choose between a set like the diamond edition or the platinum edition, which would indicate exactly what discs you get as well as whether a digital copy is included too. The Disney Movie Club has made it difficult but not impossible to quit. In order to cancel your membership, you MUST speak to a human “cast member”. Don’t use the customer service number on the website. Use this one: 920-521-4015. Have your membership number ready. There’s one thing I’ve been wondering regarding the blu-rays. Obviously, the deal is you buy 5 at the regular price, starting at $29.95. If you bought one that’s technically on sale but still over the minimum of $29.95, would it still count toward your commitment? For example, the “regular” price of The Jungle Book blu-ray is $34.95 (I think?) but it’s currently on sale for $31.95 – still above the $29.95, but not technically the “regular” price. Is this a sneaky technicality that could cause you to not fulfill your commitment as quickly? I have recently completed my VIP status and was wondering if they will still send out Feature Title’s for me to respond to? I keep checking the website in fear that I’ve missed an e-mail but so far, I haven’t had another. Do they offer international shipping? Is this only open to residents of the US? I am with DMC in Canada and they have it up there. Is it possible to buy 5 “regular-priced” items from the site in one day? Every item on the site is discounted, and I’d rather not go through the hassle of having to mail back featured items that I don’t want. The website shows the regular price, but forces you to get it at the discounted price? I am willing to get them all at regular price just to get my deal with the first 5 movies, plus the 5 regular priced ones just to get rid of the nagging feeling of a contract over my head. I’ll be moving in a few weeks, and I don’t need to mess with something ELSE being sent to my new house other than what I actually want to buy. Unfortunately no. That’s one of the ways they get you to come back for more. I think the best thing you can do is just place 5 separate orders. It won’t be pretty with the shipping charges unless you order other movies at the same time to get the free shipping option. Jen, I just got an email stating that it looks like you actually CAN buy all your regular price movies at one time. See the update above! If you order the BlueRay does it come with a regular DVD as well? They come the same way you’d get them if bought in retail store. At this time, just about every Disney movie comes with both, however this may not always be the case. It’ll tell you before you buy whether it’s a Diamond edition, Platinum edition or whatever other version it could be and the price with reflect the differences as well. I have a question that was sort-of answered, but I am still unclear. How do I know FOR SURE that a movie will count toward my commitment, if it is involved in a sale. For example right now you can buy 2 regular priced movies and they end up being 15 dollars each. Will those count? Does the movie HAVE TO be 30 dollars or more? I can’t seem to find anything that confirms one way or another if I will get credit for a movie or not. The cost isn’t the determining factor…it’s the terminology. No matter what they sell the movies for, as long as they are called “regular-priced” then you should be ok. I ran into your situation at least once, but somewhere in the fine print, it stated that the sale items were to be counted as commitment purchases. Your best bet however, is to contact customer service as the deals and pricing are always changing. It says it wants some code from my email but I don’t see a place to input my email. Im going to start my account with a prepaid credit card with a balance of $200 so I have a movie allowance and I don’t ever accidentally overdraft my account. Ive done this for other subscription services and I highly recommend it. So if I were to buy all four of those editions, I’d pay $39.95 + $13.98 + $11.98 + $11.98. They always charge the full price disc to the one that costs the most. I’m pretty sure every 3D Blu-ray collection is $39.95 so you can safely assume you’ll pay that to start the discount ball rolling. In your situation, I’d buy one 3D collection and then add as many others as you can afford at whatever discount they give you. Sometimes it’s 40% off, but it can be 50% and even 60% if you wait for certain months. I’ve never seen it go above 60%…even for VIPs. So I joined the club back in April. I received a letter reminding me of my regular movies to buy. I am seeing they start at 19.95 for DVD but it is giving me membership discount on everything. Will the discount still count as my last five on the commitment? I had ordered the Dalmatians movie, paid 1st over the phone through Visa debit which I was told went through, then received a notice to pay in the mail a week later so then I paid by cheque on April 9th and was cashed on April 27th and as well I pre ordered the Tinker bell & the never beast, paid by cheque on April 10th & they cashed on May 5th! I called to complain as I never even received my Tinkerbell Movie which is now on Netflix! I was told I had to get my bank to fax the proof even though I have photos of the cashed cheques from my bank, what BS! I absolutely hate this useless overpriced headache of a company! I have never been so disgusted with a companies operations as I have with this dis organized, impossible to deal with company. If you want movies I suggest going to walmart, they are cheaper & you will actually get what you pay for. I DO NOT recommend ANYONE to join the Movie club as you WILL be in for a HUGE disappointment! They are Not a good company to deal with.